Monday, May 22, 6:30 p.m.—MANCHESTER—The Collaborative Regional Alliance for Farmer Training (CRAFT) is a national apprenticeship program that seeks to educate farm workers who are interested in becoming farmers in the future. CRAFT provides the structure for meaningful mentor relationships between committed farmers and focused apprentices by providing a diversity of on-farm educational experiences throughout the season. Benefits of participation include: learning about a diversity of topics and farm systems; networking with other apprentices, interns, and farm workers in the region; meeting other CRAFT farmers by attending monthly workshops on each of the participating farms; and receiving a resource manual with in-depth information on each topic and Vermont’s new farmer services. This is a seven-part workshop series for farmers in training. Workshops are free. In order to receive the CRAFT certificate from Rutland Area Farm & Food Link and NOFA-VT, apprentices must attend at least four of the seven workshops. 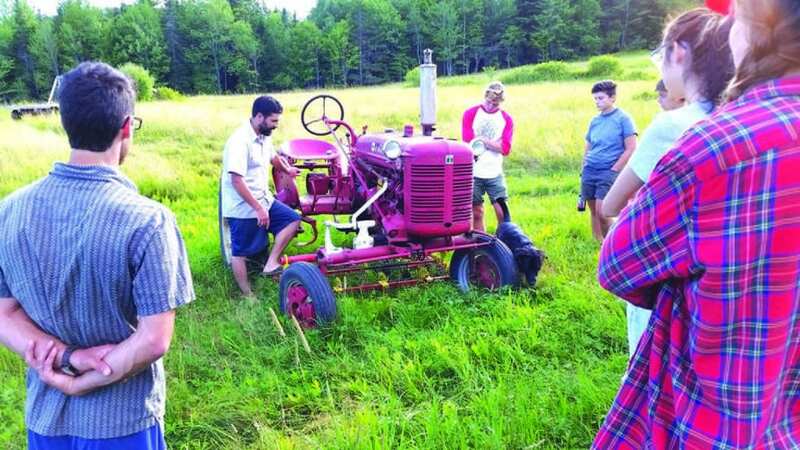 Workshops include a farm tour, training session, followed by a potluck. Deadline to sign up is May 15. For more information or to register, call 802-417-1528 ext. 4, email mara@rutlandfarmandfood.org or visit rutlandfarmandfood.org/craft. Farmer apprentices learn much about the many topics involved in becoming a farmer, including tractors.